Are you craving something sweet? Well, you are in luck! Louisville has plenty of independent confectioners dipping chocolates and concocting brand new candy treats. Just over the river from Louisville, Schimpff’s even has a candy museum within the historic storefront. 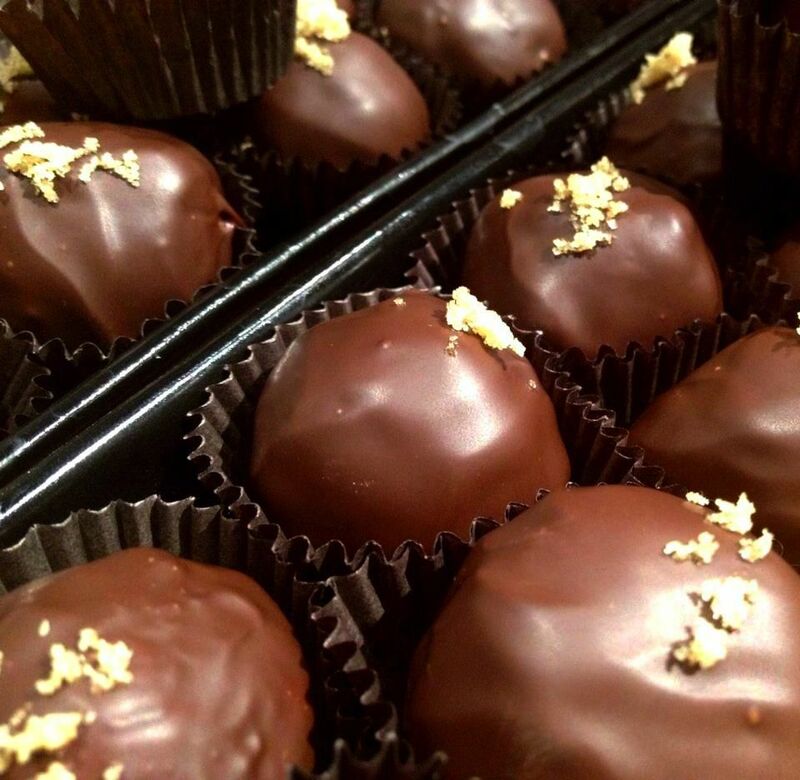 Specializing in gourmet, handmade chocolates, Cellar Door Chocolates can be found at Dundee Candies, Galt House, The Holy Grale, Lotsa Pasta and many other retailers around Louisville. Cellar Door is not only a wholesale company, they have a location in the Butchertown Market, too. Like all the other chocolate shops on this list, they are especially busy during the holidays and Kentucky Derby season, making bourbon balls and more. A cute shop with a friendly staff, Dundee is a door down from the Highland’s location of North End Café. It is a small shop, but it is a convenient stop for fancy handmade chocolates as well as colorful bagged gifts. They carry, as do all of these shops, the famous candies of Louisville—Modjeskas and more. Selling candy on Market St. since 1921, way before the area was coined Nulu. Muth’s Candies is truly part of Louisville history. The shop is old-fashioned in décor and feel, especially in comparison to some of their neighbors as Market has become a hub for galleries and design studios, but atmosphere aside, there is a reason Muth’s is still full of customers. The chocolates are a pretty delight to eat. Often busy, the line can snake out the door during the holidays. If you are a candy lover and haven’t made it to Schimpff’s, it’s time to head to Jeffersonville. The storefront, complete with flood marks marking regional history, is home to a candy store, a candy factory, an ice cream/lunch counter and a candy museum. Stop in for a snack, peruse the antique candy molds and watch them make the original red hots, a Schimpff’s claim to fame. That's right, when did you last have a hot off the press red hot candy! Last time I stopped in, staff members were dipping Oreos in chocolate and giving away samples of this delightful treat. I purchased more than I planned on and don’t regret it. Has your favorite candy store been passed over? Can you think of a store we should add to the list?